If same thing happens in MR era? 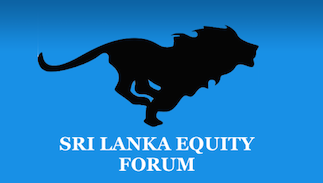 Sri Lanka Equity Forum » Stock Market Talk » If same thing happens in MR era? In MY3 & RW era, when they found a person guilty, they forced him to resign & may take action. He will visit the person house & will come out & say this is a normal visit. Yahapanaya has become mirror for monkeys.. Nd incentive for brainy. Some fools Sri have lot of things to say but the people who want change and end to corruption will really appreciate these kind of acts which is standard practice of developed countries. gale paharapu yahapalana balaluni rewenawa neda? Force resignation is not enough. Who will pay this huge money to nation? Sell personal assets and re pay to nation. Mu andala andilla dekkam therenawa mu a kale kochcara commis ganna athida kiyala. 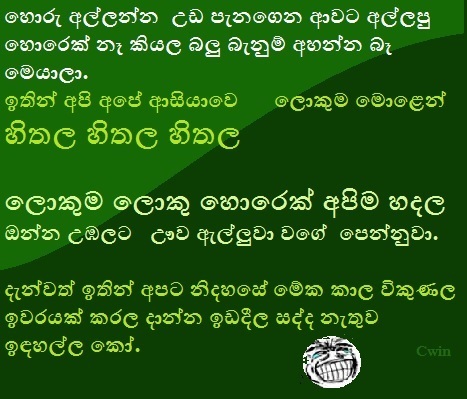 MR යුගයේ උන සියලු දෙයින් ප්‍රතිලාභ ගන්න ගමන් තමන් ගෙ ජීවිතෙ බේරගෙන ඉන්න ගමන් තප්පුලනව​. බත් කන පිඟානේ මල පහ කරගෙන අහනව ඒකාලෙ උනා නම් කොහොමද කියල​. වැඩ බැරි රොටන් බ්ලූ බ්ලඩඩ් ලොල්ලාස්. බකපඬිතයෝ , උම්බලවගේ yahapalana උන්මත්තකයන්ට මඩුවලිගෙන් නෙවෙඉ ගහන්න ඕනි. උඹල වගේ අන්තගාමී පොරවල ඉන්නකන් අපේ රට ගොඩ ගන්න බැ.